debtlegaldefense.com at WI. 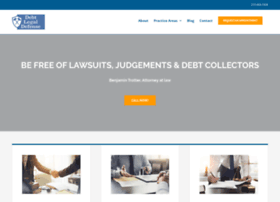 Debt Legal Defense | Ben Trotter, Attorney At Law, P.C. Debt Lawsuit Defense Getting behind on your bills is nothing to be ashamed of. But some lenders try to take advantage of you instead of working with you to eliminate the debt.